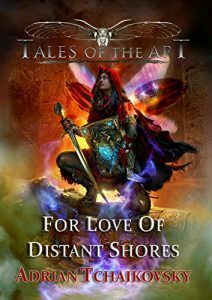 FOR LOVE OF DISTANT SHORES (Tales of the Apt 3) by Adrian Tchaikovsky NewCon Press / 274 pgs / £12.99 paperback / ISBN 978-1910935712 Reviewed by Carol Goodwin This collection of four novella-length stories concerns the adventures of the scientist and explorer, Dr Ludweg Phinagler as recorded by his faithful-ish (!) chronicler and assistant, Fosse. … Continue reading "Christmas Countdown Day 14"